Immigration officials required more information from high-skilled H-1B visa applicants last year, and denied 22% in the last quarter — up 41% from the previous quarter, according to a new study by the National Foundation for American Policy. The big picture: The number of denials and "requests for evidence" (RFE) began to climb following President Trump's "Buy American, Hire American" executive order signed in April of last year. While employers of H-1B workers often talk anecdotally about how much harder it's been to get their applications approved, this new data highlights a potential impact of the administration's crackdown. There was a 41% increase in denials between the 3rd and 4th quarter — from 15.9% in Q3 to 22.4% Q4. In Q3 2017, 23% of completed cases required "requests for evidence" (RFE). That number jumped to 69% in the Q4. There were almost as many RFEs in the 4th quarter as in all three other quarters combined. The last quarter under the Obama administration (Q1 2017) only had RFE for 17% of cases, compared to the 69% at the end of Trump's first fiscal year. Indian H-1B applicants saw even stricter scrutiny in the last quarter, with 72% of their applications requiring additional evidence in Q4, compared to 61% of other nationalities. 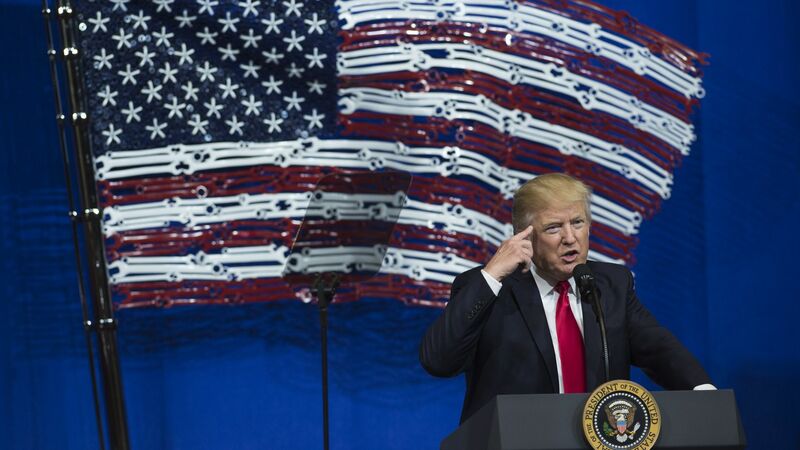 Key quote: "This increase is significant and is clearly attributable to [Buy American Hire American] and the Administration’s desire to restrict legal immigration," Mark Roberts, CEO of TechServe Alliance, which works to outsource needed H-1B workers to American companies, told Axios. He said that in the IT and engineering sector, he's seen an almost 100% RFE rate and an increased denial rate where it was previously near zero. The other side: Proponents of cutting back legal immigration argue that these visas take high-paying jobs from American workers and often accuse companies of using H-1B visas to pay workers less. They view the actions of the Trump administration simply as better law enforcement.